Welcome to our Free Crochet Patterns section of cRAfterChick.com! All my crochet patterns available in this section are completely free for you to use. 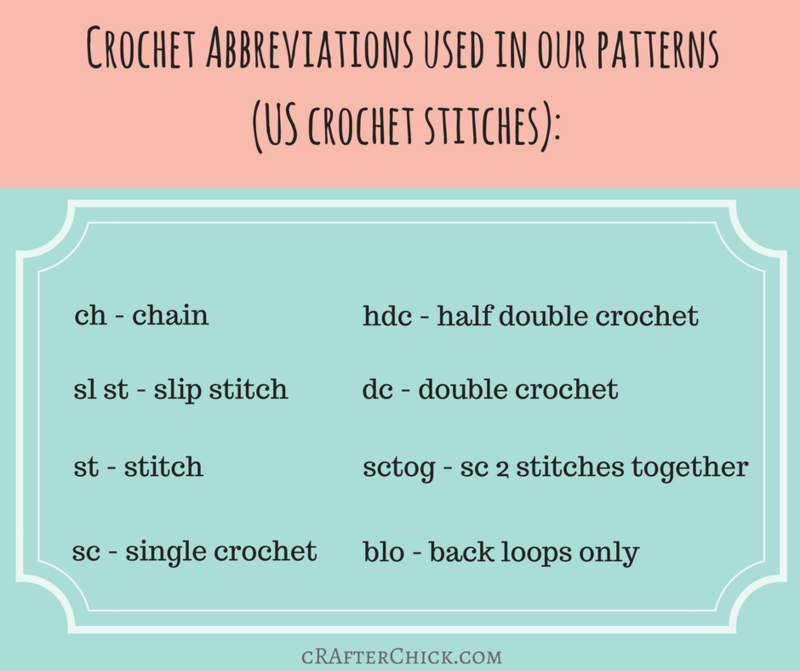 I’m not a professional at making my crochet patterns, so please let me know if you have any questions or issues. I’m more than happy to help out. I’m far from an expert so most of my patterns range from beginner easy to intermediate (rarely). 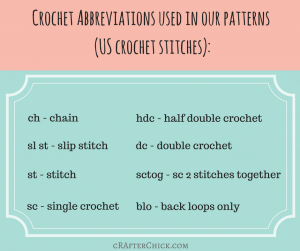 All the crochet patterns you will find on cRAfterChick.com are made using US term stitches. below is chart for abbreviations commonly found in the patterns you will come across for future reference. All I ask is that if you sell an item made from my pattern or want to share on your website that you please give credit to cRAfterChick.com for the pattern and provide a link as patterns are free so little money from ad impressions helps keep the site expenses taking care of. I do so hope that you enjoy my designs! Take a look at the free crochet patterns I have made available so far. Thank you for stopping by and checking us out. I hope you find something that inspires you to create something as well.